Wholesaling is the process of a broker and a real estate transaction but you are not purchasing a property. As a wholesaler you are placing a property under a contract, you negotiate a property and ensure there is equity and that you’re buying with added discount but you also have given yourself the liberty to assign the contract to other parties so you don’t have to buy the property. You can actually assign your right to purchase the property in the contract to another purchaser and that individual will pay you as per your assignment rights. Hard Money Lender is a private lender who will lends to an entity not person and they lend based on the value of the asset and the acquisition price that you’ve negotiated for the asset. Private lending is very important to real estate investors because everything can be refinanced quickly. In rehab you to understand the nature and the limitation of construction and really making sure that you have the solid relationship with your inspector because inspectors can really hold up the finalization of the project. And have a great relationship with your lender. If the person is interested in entering in real estate investing and would like to use the acquisition of their first home as their investment property they should consider a multi-family. With multi-family you would able to acquire down payment assistance, lower interest rates on loans, and also considered 203K funds which give you some fic up capitals within the government back loan at lower interest rates than private lenders. 203K loans is a FHA based products where they give you loans to improve the property but the improvement has to be mostly cosmetics, nothing mechanical nor structural in nature. 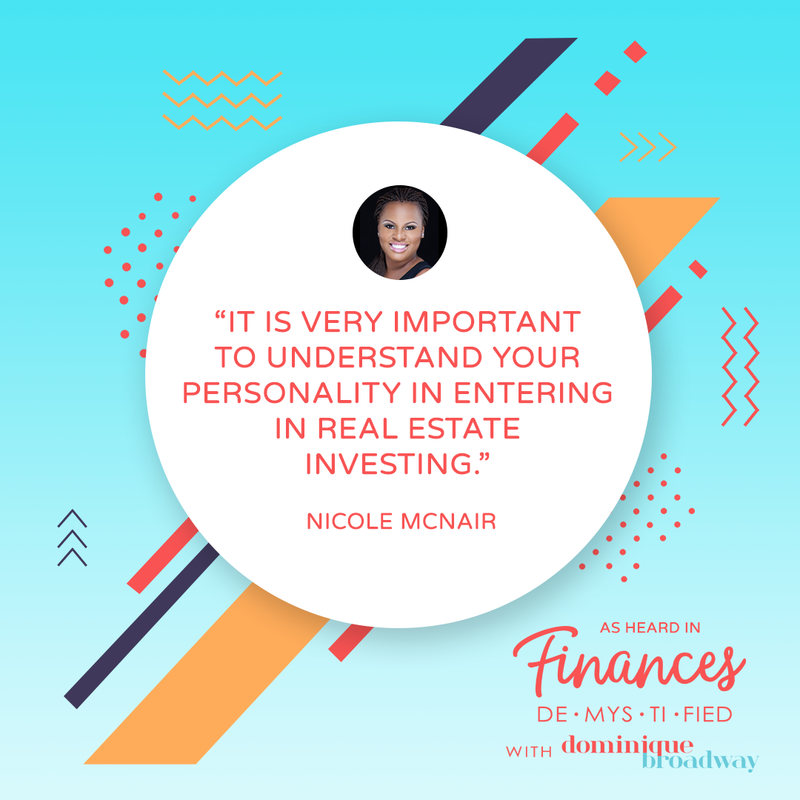 It is very important to understand your personality in entering in real estate investing. The REI Mentorship Program is a 6 week program that guides one through the process of becoming a Real Estate Investor. We train on the main paths into that most use to enter into the investor world and we personally assist each of our students to complete their first wholesale deal. The REI Mentorship Program is the main program of the REI Institute, but we also offer private trainings and workshops throughout the year. Having strong whys for doing anything will help you fight with those strong times. Self-care is extremely important as an entrepreneur. 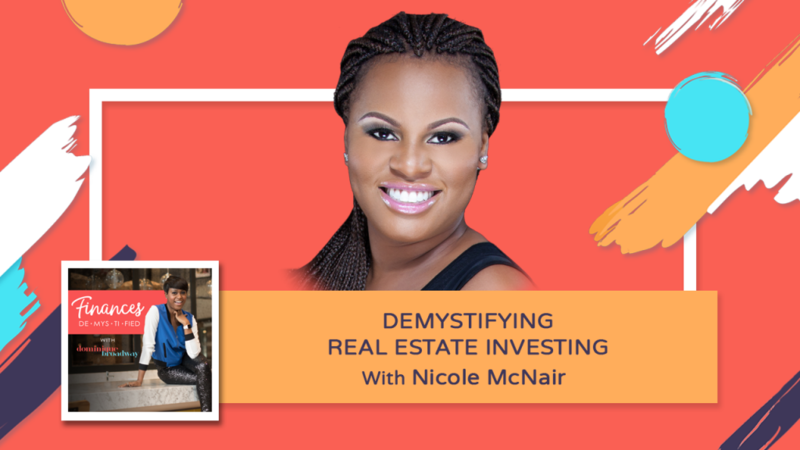 What readers can expect from “Demystifying Real Estate Investing” is a simple approach to investing meant to counter any anxiety one may have when starting & great tips/strategies to use in any market. Don’t get caught in the thick of thin things. If you want to set your kids up to understand the value of money then you should also let them know where they could invest their money to get great return, great tax advantages and also a skill set that will create employment for them. Pay attention to smaller markets or smaller communities where properties are less expensive so you can create a passive cash flow that you can looking for. Vacation rentals give you a great opportunity to earn a larger return over a property because your renting them out room by room versus the entire home than most traditional rentals.